While the rest of the Australian World Cup team looks good, the absence of Josh Hazlewood from the squad could come back to haunt them. Defending champions Australia is going into their title defence at ICC World Cup 2019 with a reasonably talented and capable side. The return of David Warner and Steve Smith adds firepower and quality to the batting line-up. The bowling attack looks good – but for one glaring omission, that of Josh Hazlewood. The tall right-armer has been kept out of the 15-man squad as the selectors preferred the group of seamers already with the ODI team in the last couple of series. Jason Behrendorff, Nathan Coulter-Nile and Jhye Richardson have been retained in the team while Kane Richardson fails to make the cut also. Behrendorff has 7 wickets in 6 matches at an average of over 41. The corresponding stats for Coulter-Nile and Richardson are more appealing. The former has picked up 48 wickets in 27 matches at an average of 26.56 while the latter scalped 24 victims in 12 matches at 26.33. But Hazlewood's figures are also impressive. He has 72 wickets in 44 matches with an average of 25.15. The most impressive feature of his record is the economy rate – 4. 73 – which is brilliant by today's standards. What's more, his ability to extract extra bounce and move the ball both in the air and off the pitch would have come in handy in English conditions, if he was in the squad. While Starc is going to pitch the ball up and look for his deadly yorkers, Hazlewood could have tested the batsmen's defence by hitting the middle of the pitch. What's more, if conditions are overcast, as they often are in England, he would have been the best option for Australia to utilize them. Even on drier pitches, he can make the ball move off the deck. Since most teams today possess batting line-ups which are adept at big-hitting but not so good at seeing out a tough spell, a man like Hazlewood who can bowl a consistent line and length, would have tested out the batsmen's technique with great severity. In his absence, the leading bowlers would be Mitchell Starc and Pat Cummins. In the last World Cup, it was Starc who emerged as the most deadly wicket-taking bowler and played a pivotal role in his team's success. 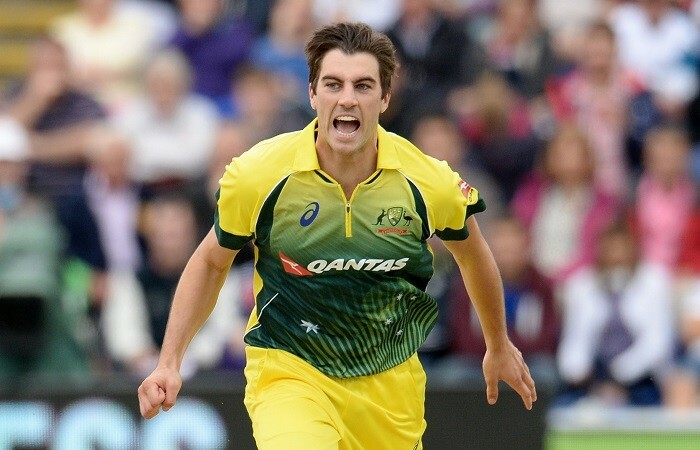 Cummins has, in recent times, taken over the mantle of strike bowler thanks to his impressive showing on placid pitches in Asia. But with Hazlewood not there, the third pace bowler would be a less-experienced bowler. The opposing teams may decide to attack this third seamer. If this happens, Aaron Finch may well be left ruing the selectors' decision.